It can sometimes be difficult to find legitimate home jobs with the proliferation of so many scams out there these days. It seems that some people think the best way to make money is to trick others out of their money. These scams will never get you anywhere and more often than not they will end up costing you a lot of money and wasting a lot of your time. To help you avoid scams from the start, you need advice on how to tell legitimate work from home jobs from scams. One of the biggest signs that a job is a scam is that you do not get a lot of details up front. You are usually told to email or call someone to get more information. 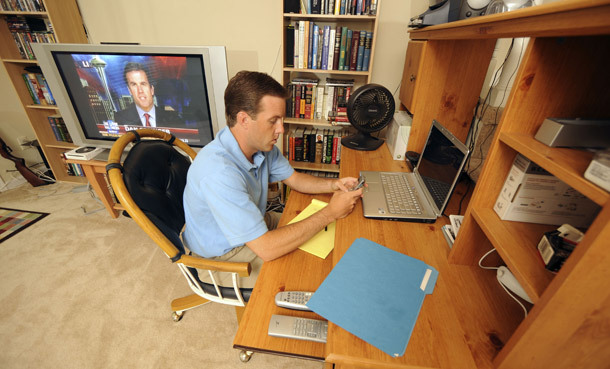 Even a small ad for legitimate home jobs will give you an idea of what you will be doing. Too often people simply see promises of big money, but they forget that they need to find details. Scam job ads will usually have a big headline that says you will make a lot of money. You may be told you will be answering emails or placing ads. These are vague statements that really tell you nothing about what you will do. One good way to see what to expect from legitimate home jobs is to look at your typical ad for a job outside the home. These job ads usually give good enough information that you know what the job is and you get an idea of what you will be doing. Legitimate home jobs have the same type of ads. Another great sign of a scam is when they ask you to pay before you can start working. Would you ever pay an employer to work for them? In the brick and mortar job market you would you not think an employer is crazy if they ask you to pay to work for them, so why do so many people think it is fine to pay for a work at home job? Never, ever pay anything to work. You should be the one getting paid, not them. The only exception to this rule is with home party type opportunities where you have to buy your start up kit so you have products to show at your parties. Be careful, though, and make sure the party plan company is a respectable company before paying anything. Ads for a scam will usually tell you that you won't have to do much to make a lot of money. If that were true then everyone would have that job. The standard rule that "if it is too good to be true then it probably is" applies here. Legitimate home jobs are just that - jobs. You have to put in work to get paid. Nobody has ever made money doing nothing. Keep that in mind and if you come across a job that just seems too ideal, then investigate because chances are that it is a scam. There are plenty of legitimate home jobs out there. They are not always easy to find, but they are there. You will have to go job hunting just as you would with your typical search for a job outside the home. It takes time to find the right work at home job, but when you do, you will find that you can make pretty money and the perks of working at home can't be beat.